For 2019 André is asking Shall We Dance? 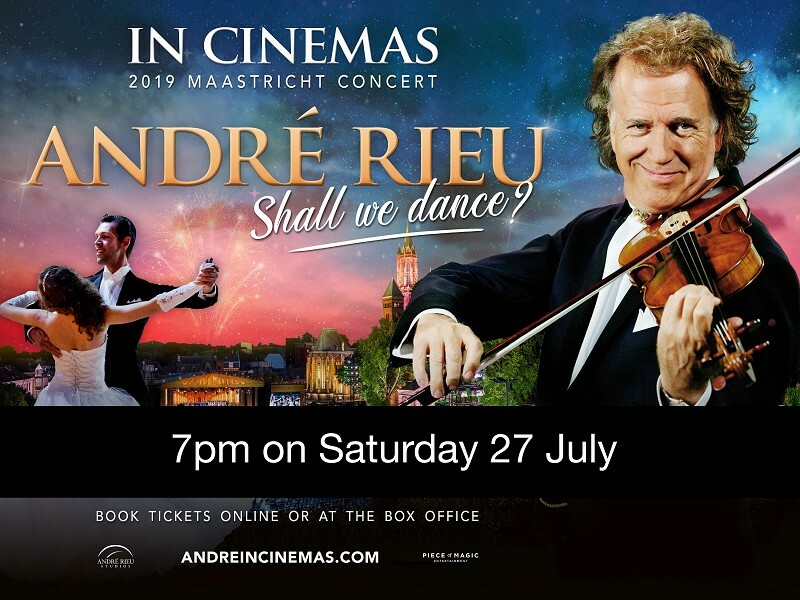 as he invites you to join him in the comfort of your local cinema, welcoming you into the beautiful and historic town that holds such special memories for both André and his fans throughout the world. reveal during the next weeks to come! I want to see everyone waltzing in the cinema aisles!”.